We reported to you a few days ago the study which proves that the more money donated to the Palestinians, the more homocides that occur (either terror against Israel, or among the Palestinians themselves). All the "logic" being sold to you for years that if only we donated more money to the poor Palestinians, they would abandon their militant ways has been proven to be one big sham. So what does the United States do? They earmark 86 million dollars in "security support" for Abbas, and some of that will go to "training centers" in Jericho. JERICHO, West Bank -- Young cadets carry briefcases as they rush to computer labs, Hebrew classes and conflict resolution drills. 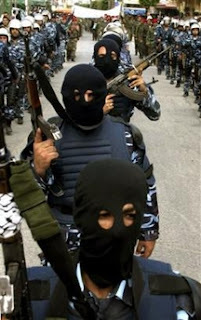 They are the vanguard of Palestinian President Mahmoud Abbas' campaign to prevent the West Bank from falling to Hamas. The just-opened officers' school is part of Abbas' new security plan to keep the Islamic militants on the defensive, and to reassure Israel and the U.S. that he's strong enough to carry out a peace deal. The first 142 officers will graduate in eight months, returning to their old units with new expertise that Mideast peacemakers hope will help end the chaos reigning on Palestinian streets. We know this will fail. We know they will use their new found knowledge to try and kill us (or each other). We've trained Palestinian "policemen", given them guns, equipment, money, and refuge from Israel. Why repeat the same mistakes over and over again? But the US plods on. What the heck happened in Peki'in? For those a bit detached from day to day news in Israel; there was a major police incident in the Druze village of Peki'in the the Galil (Northern Israel). Peki'in has Jews living in it since the destruction of the second Beit HaMikdash (Jewish Temple). Hundreds of Israeli police arrived at 4:00 AM to arrest the teens, and all hell broke loose. Hundreds of rioters, many of them masked, surrounded the policemen and hurled rocks and stun grenades at them, and allegedly shot at the police as well. Rioters also set fire to the house of one of the few Jewish families in the town who live near an ancient synagogue. Making matters even worse, the rioters captured a border policewoman, and held her hostage. "The nightmare began just moments after we arrived at the scene to apprehend those suspected of rioting last Saturday night," Douadi recalled. "At some point I became separated from my battalion. A group of masked men spotted me and then dragged me 20 meters to an alleyway, where some of them began kicking me and trying to stab me with a sharp utensil," the 19-year-old said. According to the policewoman's account, the rioters shouted "you won't get out of here alive unless we get what we want". Douadi was finally whisked away to a prayer house by a retired police officer until she was rescued from the area with the cooperation of local religious leaders. "Everyone knows I wasn't released for free; they received everything they demanded," Douadi told Ynet. 1. Had a cell tower been trashed in Tel-Aviv, it would have been seen by most as a noble gesture, since there is widespread grass-root support for removing cell towers. 2. Had a cell tower been trashed in Tel-Aviv, the police would not have sent in hundreds to arrest the perpetrators. 3. Druze Arabs used tremendous violence against the police...and even against Magen David Adom medics! It's also been reported that the police were also shot at, and wounded by demonstrators. 4. I'm not a huge fan of the police, and they routinely use excess violence against all sorts of groups ranging from settlers to Druze to Arabs to Leftists to student demonstrators. 5. That said, the Druze rioters gain no sympathy from me for this sort of violence, let alone burning Jewish homes. However, the State will now bend over backwards and accommodate them...police violence against Druze is not tolerated...while police violence against passive civil disobedient settlers in Amona is basically ignored. -- directly challenging the exclusivity of Israel's Chief Rabbinate. In light of Israel's Chief Rabbinate's refusal to challenge any Rav who disagrees with "heter mechira", the Tzohar organization is getting ready to offer alternative Kashrut Certification based on the heter mechira. While much of the current shmita related kashrut crisis is money related, the Tzohar Rabbis are doing this completely for the sake of the community. They will charge exactly the same price for their certification as the Rabbanut, (to pay for the Kashrut inspectors/overseers), and are providing this service so that places that till this past Rosh HaShana had certification -- can continue being certified Kosher. If you don't want to rely on heter mechira, that's your prerogative -- but for the Chief Rabbinate to refuse to certify an establishment is simply not feasible. For more on shmita, see here and here. Just as a side point; institutionalized Judaism in Israel is part and parcel of "Religion and State." For a religious person as myself, much of the bureaucracy can be ignored or shrugged off. When I got married in Israel I was so disgusted with the process, that I commented that if I hadn't been religious to begin with, the process of the "Religious Ministry" would have been enough to keep me from becoming religious forever. The Tzohar group of Rabbis tries to make the bureaucracy bearable and adds much life and meaning to Jewish ritual. They officiate at weddings (often, for free) in order to provide a positive Jewish, halachik experience suited for non-religious couples. (Reading a partial translation of the Ketuba in Hebrew instead of Aramaic, explaining parts of the ceremony, and having a genuine smile on their face when they officiate the ceremony). I'm sure there are many sincere Rabbis in the "Ministry of Religion" department, but the institutionalization and bureaucracy sets them up to fail 90% of the time. Kudos to Tzohar. If I had smicha, I would join them in a heartbeat. Let’s say you were a social worker in a violent gang-ridden area. The gangs are preying on the residents, the neighboring towns, even on each other. Murder isn’t even given short shrift. You come up with a brilliant idea. You find some rich sponsors sympathetic to your cause, and you get them to donate money to help eradicate this gang problem. You then call in the gangs and promise to give them money to help them, but tell them the violence must stop. So you give them money for a month, for two months, for a year. After a year, you notice that the gang violence isn’t getting better. In fact, there are more murders now than ever. (Perhaps the gangs even tell you they need more money). You decide that the amount money you gave them obviously wasn’t enough, and so you hit up the sponsors for more funds. Now you double, you even triple the monthly stipends you give to the gangs. Another year passes and the violence is far worse. I came across these statistics on CAMERA via Iris. You can obviously draw your own conclusions, but you can’t ignore the correlation. A study was done on Palestinian Terrorism and Murder and Foreign Aid. 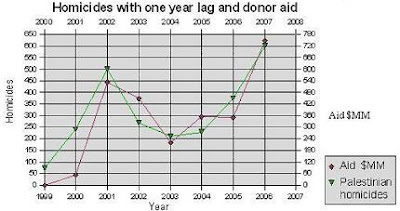 As you can see from the charts, as foreign aid to the Palestinians increases, so do Palestinian acts of murder. 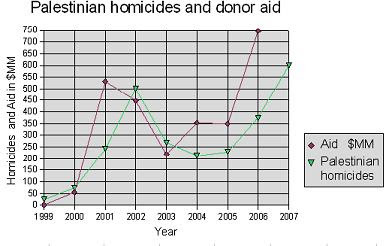 When foreign aid to Palestinians decreases, Palestinian acts of murder correspondingly decrease. In fact, the more money they receive, the more murders the Palestinians commit, the less money they receive, the less murders they commit – it is practically a 100% correlation. (As an aside, when Palestinians are blocked from killing Jews, they kill each other instead). But what is most interesting is the time lag between the receipt of the money and the number of murders. The increase and decrease of the money received precipitates the number of murders that will be committed by one year. You can practically estimate how many Palestinians acts of murder and terrorism will be committed in any year based on how much money they received the year before. In 2007 they received the most money ever. Turn out the lights on Gaza. 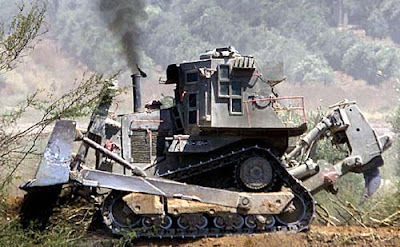 After years of Qassam rockets raining down on the Negev and Sederot, Minister of Defense Ehud Barak gingerly accepted an idea that might help. He proposed to shut down the electricity to Gaza, for between 15 minutes and an hour per rocket strike, in retaliation for the ongoing Qassam rockets that terrorize Southern Israel. Why Israel is still providing electricity to Gaza in the first place is beyond me, but we should give a thank you to Ehud Barak for even thinking in this direction. While the knee jerk leftists immediately declared Israel guilty of crimes against humanity, and that we must be a"light unto the nations" -- I'd prefer we keep Gaza in the dark. At least till they stop shooting at us. Today (tomorrow?) 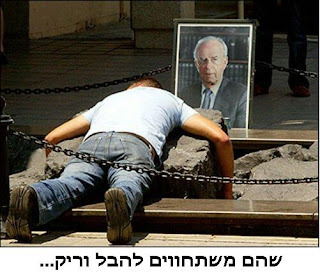 is supposed to be the memorial day for Yitzhak Rabin. Instead, it's the culmination of a month-long festival of hatred towards Israel's political right-wing and religious camps. I believe that Rabin was a terrible, cold hearted person who had no problem ordering the killing of Jews for political gain (the sinking of the Altalena) and his arrogance towards the personal security of Jews in Israel as Palestinian terror rose to an all time high during his "Oslo Peace Accords" -- was despicable. Here's a letter to the Star-K, received via my good friend, Amshinover. 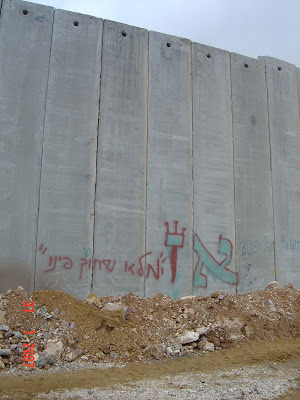 "Since it's inception the Chief Rabbinate of Israel has sold the land every shmitta. However, now there are many Rabbanim who question whether the situation warrants the sale. In addition, for the consumer there is another more serious problem: The produce that is sold in the regular stores during the year of shmitta predominantly comes from non-religious kibbutzim and moshavim who would never agree to sell their land. 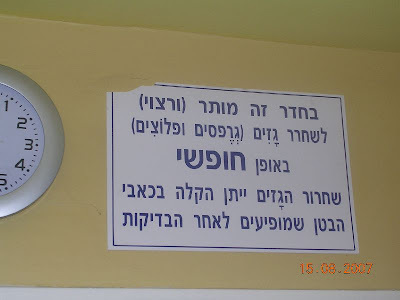 This is compounded with the fact that the non-religious kibbutzim don't observe those prohibitions which Harav Kook instituted, and Harav Kook never permitted their current practices. Certainly, a tourist who is not knowledgeable about the dinim of shmitta should buy produce only from shmitta free stores." Do you have any basis for the claim that the produce in the stores here in Israel is "predominantly" not heter mekhirah? That is certainly not what I see here in Israel. Do you have any basis for the claim that non religious kibbutzim and moshavim would never agree to sell their land? What is the basis for such a sweeping insult of Jews who farm the lands of Eretz Yisrael? The information that I have from rabbis who support the heter mekhirah is that the entire country has been included. From opponents of the heter I have heard the strange argument that since the farmers don't really mean the sale, it is therefore invalid. But I wonder whether when the Star-K tells me that some large company has sold their chametz for Pesach, the Star-K is thus assuring me that the owners really had gemirut da'at about the sale. I consider it very upsetting that the Star-K has maligned so many learned rabbis, hard-working farmers and honest store-owners here in Israel. The following lecture from R' Aharon Lichtenstein addresses the conflict of shmitta today. Absolutely worth reading it in it's entirety. 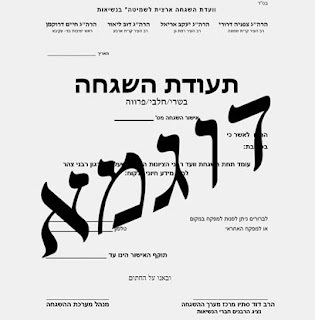 Shemitta branches out into several halakhic areas: forbidden work and the required cessation from prohibited activity, similar to Shabbat; prohibitions regarding eating and commerce, resembling kashrut; the conferral of a status of sanctity and specific designation on the produce, like that conferred upon teruma and ma'aser sheni. In addition to the strictly halakhic dimension, the laws embody and reflect a network of values. We need not dig deep for reasons underlying this mitzva; they are obvious and self-evident. We may easily discern at least three aspects of this institution. Like the weekly Sabbath, the septennial Sabbath of the land infuses us with an awareness of the exclusive and absolute authority and control of the Almighty. It also absolves the farmer of the pressures of material life for the purpose of enabling him to devote more time to spiritual pursuits. Additionally, shemitta features a strictly democratic aspect, equating young and old, rich and poor, and, to some extent, even man and beast: “But you may eat whatever the land during its Sabbath will produce - you, your servant, your maidservant, your hired and live-in laborers who live with you, and your cattle and the beasts in your land shall eat all its yield” (Vayikra 25:6-7). I suggest you read the entire lecture -- it's that good. Kadima: Atom Bombs are Wimpy. "An atomic bomb, of the type being developed by Iran, can't destroy Israel, period. It causes death in a 500 meter radius, but can't destroy Israel," that was the calming message given to Ynet Tuesday by Knesset Member Prof Isaac Ben-Israel. Whenever "calming" statements are issued from Olmert's party, I get worried. 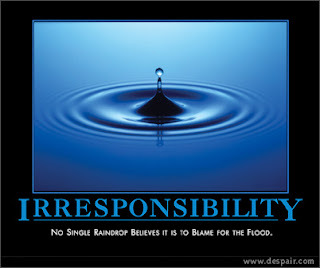 Especially when the statements are nonsense. Asked what the damage of a nuclear attack would be, Ben-Israel said, "Does a bomb destroy a country? Of course not. An atomic bomb of this type – a 10 – 20 kiloton bomb, such as the type that fell on Hiroshima and Nagasaki, causes death in the 500 to 1000 meter radius around the fall zone if it fell on Tel Aviv. That may sound like a big relief, but it isn't. Only 500-1000 meters? What's Olmert been giving his party people to smoke? The USA's Homeland Security "National Terror Alert" center has the following to say about the fallout from a nuclear weapon (I'm ignoring those killed immediately by the bomb blast). On the "safe" side, I made a 70 mile radius circle around Tel Aviv...where if G-d forbid an atom bomb exploded, the fallout would reach the vast majority of Israel's population. Aren't you glad the Olmert's on his way to give away Jerusalem in Annapolis? He probably has the same experts telling him there will be peace if he splits Jerusalem...the same way a nuclear bomb doesn't threaten Israel's existence. Sunday morning, we all learned of the attempted assassination of Israel's Prime Minister Ehud Olmert by Fatah Palestinians Terrorists (the good guys...Hamas are supposedly the bad ones). Olmert wasn't harmed, but the next few times he went for "peace" talks in Jericho, he wore a bulletproof vest and helmet. Sounds like the optimal way to meet our "partners." So what went wrong? Israel learned that the alleged terrorists who allegedly wanted to kill Olmert, were set free. After all, we all know that Fatah terrorists who don't have blood on their hands but only tried to murder Jews and didn't succeed, are eligible to bypass justice and be released as "good will" gestures by PM Ehud Olmert and President Shimon Peres. So why is Olmert & company in a tizzy that the Palestinian Authority released these same suspects? If anyone has "dumbed down" justice and morality in Israel, it's Ehud Olmert. Olmert -- you reap what you sow. Learn from the comfort of your own home. Zman begins at Rabbi Brovender's WebYeshiva in just a month. Sign up now for a Free 2 week trial. Looking for your home in Jerusalem? Colony Real Estate Professionals can help you find it. Colony has interesting and unique properties throughout Jerusalem - for every budget. Also Colony offers complete Property Management services. Don't get lost in Israel. Rent a car GPS from DadyGPS (conveniently located on King David Street in Jerusalem), and enjoy your tours of Israel without getting lost. Want to tour the Streets of Jerusalem without leaving your computer. Visit our blog and check out the photos, stories, and background on the streets you want to see. Jewish Videos at Yideoz - Do I even need to say more? With Liberty and Passports for all. Here in Israel we have an expression, "you just discovered America" -- which the Israeli way of letting someone know that they just realized the obvious. The Wall Street Journal just "discovered America" as well. Their method: Report that something widely-known is really "obscure". A swelling number of Israelis are flying to the U.S., armed with tattered U.S. high school diplomas and faded marriage certificates, to try to tap into an obscure clause in U.S. immigration law that enables some grandparents to pass citizenship to their grandchildren. Go to any neighborhood in Israel where there are more than two immigrants from America, and ask them how does a child born in Israel to American parents, obtain US citizenship. "I am not quite sure how this group of people caught onto this section of law, but they all seem to know about it," says Michelle Tolbert, an officer in the Chicago branch of the U.S. Citizenship and Immigration Services, the agency that processes applications. How would they have "caught onto this obscure section of law?" For the totally clueless who aren't "in the know", there's the top-secret US Embassy in Tel-Aviv's web site, which states the law very clearly. The following information will assist you in determining whether or not your child is a U.S. citizen and will provide assistance in the steps you are required to take to register the birth. To determine if the child’s U.S. citizen parent(s) were in the U.S. long enough to transmit citizenship, please follow this link. If you are unable to confer citizenship to your child, your parents may be able to apply for expedited naturalization for your child if they are both American citizens. See here. IF YOU AND THE CHILD ARE RESIDING ABROAD, THE CHILD MAY BE ELIGIBLE FOR EXPEDITIOUS NATURALIZATION IF YOUR PARENT, THE CHILD'S U.S. CITIZEN GRANDPARENT, WAS PHYSICALLY PRESENT IN THE UNITED STATES FOR A PERIOD TOTALING 5 YEARS, 2 AFTER THE AGE OF 14. THE GRANDPARENT CAN BE LIVING OR DECEASED AT THE TIME OF THE APPLICATION. IF DECEASED, THE GRANDPARENT MUST HAVE BEEN A CITIZEN PRIOR TO THE CHILD'S BIRTH AND AT THE TIME OF THE GRANDPARENT'S DEATH. In the first nine months of the 2006-2007 fiscal year, which began Oct. 1, 2006, the U.S. immigration agency processed nearly 4,000 applications for citizenship through grandparents, compared with about 2,000 for all of fiscal 2003-2004. Parents of any nationality can avail themselves of the law, but Israelis comprise 90% of those taking advantage of it, Ms. Tolbert estimates. Some of those Israelis are seeking to give their descendants a safe haven from Mideast strife. "The world keeps changing," says Amy Katz, who recently flew to Chicago with her toddler and 3-month-old daughters to secure U.S. citizenship for them. "There could be a horrible war. There could be no Israel one day." "This gives my daughters more options in life," says Amy Katz, who says her U.S. passport enabled her to see Jordan before Israelis could travel there. "They may want to study in the States." "Everybody who can is applying," says his mother, Yecheved Robin. "It's like the Roman Empire and citizenship. Everybody would like to be a citizen of the United States if they can." No, those aren't the major reasons why people apply for US citizenship for their children. I'm not worried about war. I would prefer if my kids studied here in Israel (far cheaper here as well). 1. Ease of travel to the US instead of waiting for a VISA as an Israeli. 2. US citizens must file with the IRS annually. If you follow the law and file with the IRS, there's a possible benefit for you. The "Jewish Worker" blog wrote this up 2 years ago (it's not obscure either). A number of years ago, the US introduced a refundable child tax credit which started at $600 a child and is now $1000 a child. American citizens who live, work, and pay taxes in Israel, report their Israeli income to the IRS, but, because taxes are higher in Israel then in the US the taxes paid in Israel more then offset any tax that would be owed to the US government (by treaty there is no double taxation). Using the "Alternative Minimum Tax" one could end up owing no taxes to the US government at all, and because the tax paid in Israel offsets the tax that would have been due in the US, one could end up receiving a refund of up to $1000 per child. There are many reputable tax accountants in Israel that can help you with this process. My advice; make sure they are reputable and sign the return (that they filled out for you) -- that's the easiest way to ensure they take responsibility for the filing. If you want more info, drop me an email. Go to Land which I will show you. This week's parashat shavua, weekly Torah reading is that of "Lech Lecha" -- the following is quoted by "A Simple Jew"
I have mixed feelings about this quote. On one hand, I'm happy the Me'am Loez writes about the importance of living in Israel, and recognizes the merit of living here. However, is the reason of having Eretz Yisrael "in mind" because it's where our ancestors are buried? Yes, if Jews didn't live in Hevron, we would have zero access to Me'arat HaMachpela. If Jews didn't live in Israel, then the arabs would destroy any Jewish holy site they could come across, as demonstrated by their excellent track record of destroying the cemetery on the Mount of Olives, Kever Yosef, and all the shuls of Gush Katif. Yet what happened to living here because it's the land promised to us, the mitzvot that can only be done here, the centrality of Eretz Yisrael to Judaism? Regardless, this is an excellent shabbat to review your commitment to thinking about Eretz Yisrael, aliya, and discussing the importance of what goes on here with your family and friends. It is forty years since God gave us the blessing of a unified Jerusalem. And it seems that, in forty years, we have squandered the miracles and blessings showered upon us before the eyes of the world in the Six Day War. Ehud Olmert, Prime Minister of Israel, is ready to hand over parts of Jerusalem to the arabs who have never ceased to call for our destruction. We have tried everything that has been suggested. Land for Peace is a proven farce, and unilateral withdrawl brings our enemies closer than ever with more sophisticated weapons that they bring across their open border with Egypt. Israel suffers from a lack of enthusiasm because its citizens know that what they fight for heroically today will be seen as oppression and conquest tomorrow. Without Torah, zionism cannot survive, and we witness the pathetic crumbling of secular zionism with politicians who are willing to trade Israel's very security for a smile and handshake from US presidents and Arab terrorists. And now, we come to the lowest point: The most obvious miracle performed in 2000 years, the return of the Jews to Jerusalem and to the Temple Mount, is turned into a trading card. The splendor and spiritual meaning of our redemption of our holiest place is lost in Olmert's desire for international approval. And the nation sits desolate, in apathy and shame. 2. Mazal Tov to Rafi (Lifeinisrael) and Mrs. G on the birth of a daughter. He also has a good (but depressing) post about how the Chareidim are destroying the Israeli Rabbinate. I’ve been thinking about scientific advances and the Jewish community. Within the next 20 years there are certain advances which are clearly on the way, which are clearly going to raise interesting and unique halachic questions and solutions. The first advance most people mention will be vat-grown cloned meat. Perhaps it won’t be as big a problem if the original animal was slaughtered properly, but what happens when the meat is grown from some cells extracted from a living animal. 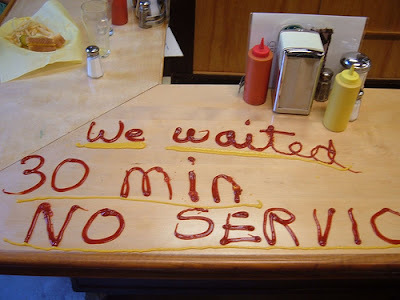 Big “Ever min’haChai” problem right there – and not just for Jews. If you’re thinking that this won’t happen in the next 2 decades, think again. They’ve already cultivated a human looking ear from cow cells on scaffolds attached to a mouse. Next stop, cheap steaks. But my real and first concern will be from genetically engineered “SloSpoil” TM to JoeSettler fruits and vegetables. When I originally wrote this post, I thought this is going to be a major problem every Shmittah. Sure we’ll throw the old “SloSpoil” TM fruits and vegetables into a special garbage, but how can we then throw out that garbage if it will take months before the fruits and vegetable go bad? But Jameel pointed out that this is a great solution to the Shmittah problem. During the Shmittah year we will have access to all our old fruits and vegetables grown the year before. Farmers will store their “SloSpoil” TM Vegetables and Fruit over the year, and sell them during the Shmittah year. In fact, as “SloSpoil” TM fruits and vegetables will be genetically engineered to grow more and faster, it will help fulfill the Biblical promise that in the 6th year there will be a special blessing on the produce that it will be enough to supply us for 3 years. Security Robots, Airports, Israeli Rifles and James Bond. Nothing beats the world class security at Israel's Ben-Gurion airport. Like it or not, their non-politically-correct profiling works. After building Ben-Gurion airport's modern and ultra chic Terminal-3 which will help absorb the masses when Mashiach arrives tomorrow, the airport is now looking towards technology to aid with security. Already today there are dozens of cameras which digitally scan and analyze the faces of everyone who enters the Arrival and Departure terminals and compares them to terrorists in the Police's wanted-terrorist database. 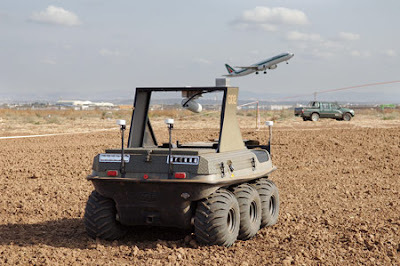 NRG (Ma'ariv Newspaper's website in Hebrew) reports that the airport is currently evaluating 6 wheeled robots -- perhaps even the model shown above, to conduct security patrols around the airport's perimeter. The robots indicate if something is amiss and alert central command to any suspicious activity. Jut wait till RoboCop interviews you before check-in...you'll think twice before lying about the letters your cousin gave you to mail. 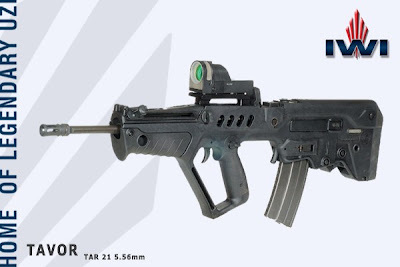 Already in use by IDF Givati infantry units, the Tavor's showcasing by James Bond will definitly do wonders for the Tavor's image, and will probably put the Tavor in the same name-brand recognition category as the ubiquitous Uzi. I can just picture James Bond being interviewed by Israeli security at the airport...and then racing away from the security robot. 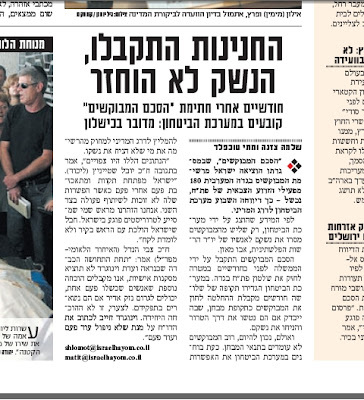 Gavriel Dwait's body was returned to Israel last night from Lebanon as part of an exchange with Hizbollah. The Missing Israeli Returns Home. Missing? Was he lost? I'd never even heard his name before last night's late news report. No one I've asked has ever heard his name before. I googled his name in Hebrew and English, "Missing Israeli Gavriel Dwait". The deafening response from Google was "Your Search for "Missing Israeli Gavriel Dwait" did not match any documents." Had Google been a bit more honest, it would have added the following recommendation for a "better" search result. There isn't an Israeli alive who hasn't heard of the names "Ehud Goldwasser, Udi Regev, Gilad Shalit, Ron Arad" and many others. Yet, no one has ever heard of Gavriel Dwait. Beersheva resident Gavriel Dwait, a Jewish immigrant from Ethiopia, drowned in the Mediterranean Sea on January 20, 2005. He was 27 at the time. His parents have been searching and waiting for 2 years and 7 months. So why haven't we heard of him before? The Israeli police told the family, "eventually, he'll show up." The family hired buses to bring volunteers to look for him on Israel's Northern shores, but to no avail. His body must have washed upshore to Lebanon. 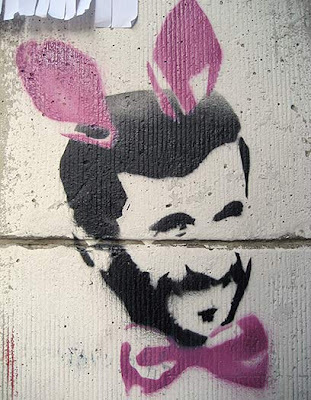 Truth be told, I doubt that anyone in Israel's government had any clue he was missing, and it was probably Hizbollah that surprised Israel with the offer. To make matters worse; this exchange has been in the planning for a few months now, yet no one bothered to even inform Gavriel's family. You can be sure that the Goldwasser, Regev, Shalit and Arad families are updated all the time from the government on the status of their missing loved ones. The dirty reason is wrapped up in one word. Proteczia. noun. protection. essential for survival in Israel. A family of new immigrants from Ethiopia living in Beersheva has little hope of knowing how to pressure the Israeli police, how to contact the media, or even how to find a Member of Knesset. Had Gavriel's family been more connected, you can be sure we would have heard his name before...or at least Google would have found a reference to him. Oh, and the fact that he was Ethiopian probably played a part as well. Israel has alot of soul searching to do. Trust me, this is cool. 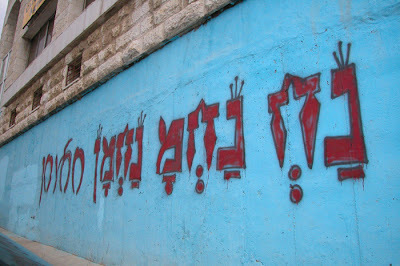 It's not "na nach nachman"
(You'll see, this is totally cool). Gaza's airport, known as "Dahaniyeh" or "The Yaser Arafat International Airport of Peace" looks rather impressive based on it's webpage. Seriously though, after the Palestinian Authority continued launching terror attacks at Israel, IDF forces "shut down" the airport -- they bombed and bulldozed it back into the stone age. Seems like some of the IDF D9 bulldozer drivers have a sense of humor (or at least some nationalistic pride). Go to Google's web based satellite maps. (maps.google.com or use Google Earth) to the location of Gaza's runway. The coordinates are: 31.237564, 34.271239 -- you can simply enter them in and zoom in. I've saved you the trouble; the exact location is below. Do you like the Magen David (Jewish Star) bulldozed into the runway? Zoom out to see it in relation to everything else. High Point: [Me to my wife, while noshing on squash fried in olive oil on erev shabbat.] "Wow, this tastes amazing!" My wife: "Yes, and the best part is that it's kdushat shvi'it! **"
Low Point: Me, scrounging through our kitchen garbage pail, picking out vegetable bits from the previous meal that should not have been thrown in the regular garbage can...or peels that my 9 year old forgot should have gone into the "shmita garbage can." I. tried. not. to. grumble. Honestly. One month down. So many more to go. I'd say only "12 more months" (because we have a "leap month" this year), but the aftermath of shmita lasts much longer, as fruits from shmita get picked towards the end of next year...and then there's wine from the Shmita year, etc. 1. One screams, "Shmita LeMehadrin! (Deluxe Kosher)" Nice green scallions, examining the package, I see it says, "grown detached from the ground...no suspicion of 'shvi'it'"
2. The other proudly says, "Otzar Haaretz...Otzar Beit Din, Kedushat Shevi'it" Not as green though...nor as fresh looking...but still definitely edible. I felt really great about it, till gazpacho was spilled all over the place during Shabbat lunch. Cleaning it up...keep the scallions and cucumbers separate, it's a challenge not to go crazy. Finding a caterer for an upcoming simcha. ** For a whole description on Shmita, see my previous posts here and here. Can you believe it? I'm still rubbing my eyes in disbelief. Out of 180 wanted Fatah Palestinian terrorists who were "delisted" from Israel's "most wanted" list 2 months ago as a "good will gesture of peace"...more than 2/3's of them are still illegally carrying automatic weapons. The security establishment is even calling the agreement..."a failure"?! Israeli Prime Minister Ehud Olmert personally approved this plan...so how could it have possibly gone so awry? But the people in Chelm have already finished chortling over this one. They are getting ready for the upcoming joke of the year...the upcoming Israeli/Arab US-brokered Annapolis "Capitulate to Terror" "Split Jerusalem in Two" "Peace Talks." Even the people in Chelm think it's gone too far. On the night of September 9th, 2003, a 20-year old bride anxiously awaited the coming morning. It was the night before her wedding and she counted down the minutes until she would stand under her chupah and become the wife of a man she loved with all her neshama. Her father had just returned from New York on a medical conference and the two of them decided to go out for a heart-to-heart talk on this incredible night. They made their way to Cafe Hillel on Emek Refaim. As she entered the restaurant, her father sensed that something wasn't right. He noticed a man entering the Cafe right after his daughter did, and then the panic set in. He ran in to get his daughter out, but it was too late. The blast went off and Dr. Applebaum was killed instantly. The bride remained in critical condition. I remember when the call came in from my best friend. "Naavah is in a coma. Her father is dead. Tomorrow is her wedding and she doesn't even know her father is dead." Naavah Applebaum died that same night. Her wedding day became her funeral. This experience left me in a state of shock. I remember a few nights after Naavah's funeral I called my Abba in a fit of hysterics. I cried, "Abba, I know what my tafkid is in Olam HaZeh." My father calmly answered, "Yes shefile'? What is that?" "I want to die Al Kidush HaShem" I sobbed. My father is a man of never ending patience, wisdom, and compassion. He took a deep breath and said, "Gila, I think I have something even harder for you." "What do you mean?" I asked. "What could possibly be harder then that?" 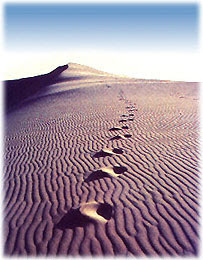 "Try living Al Kidush HaShem", my father replied. Wherever I am, my blog turns towards Eretz Yisrael and tries to make a Kiddush Hashem. No Sugar Coating. No shmaltz. That's a rather lofty challenge. However, as we say here in Israel -- "we need tachlis" -- give me something usable today, not after the chagim, but now. Reading Treppenwitz's account of local Israeli Chuztpa almost boggles the mind. Directly in front of me in line I noticed two women with a shopping cart that was 2/3 full. I politely pointed out that they were in the express line and that they had too many items. But instead of begging my forgiveness and going to another line, one of the women gave me a mirthless grin and said, "We're together... we each have ten items". The two of them stood with arms folded across ample bosoms, daring me to challenge their clever ploy. I took another look at their shopping cart and my blood pressure started to climb as I noticed that just the items on top approached the stated number... there must have been two or three times that number of things buried underneath. This is the moment of truth that most immigrants are intimately familiar with. Do you marshal your limited Hebrew and make a fuss... risking having unhelpful idiots around you jump in with "What's the big deal... just let them go... it isn't worth all the yelling"? Or do you sit quietly and feel like the biggest frayer in the world because somebody is flouting the rules and wasting your valuable time in the process? Granted, I see this all the time...but kudos to Trep for dealing with it. Therefore, I'd like to draw your attention (and Trep's) to something really important. Finally, someone is willing to put up -- The Chuptza Challenge! Forget prolific position papers about the Jewish Community at large -- there's barely any common denominator to even start with. This guy is offering SIXY THOUSAND dollars to provide the best solution to teach Israelis some politeness and manners. A wealthy Israeli businessman is offering a cash prize for initiatives that instill manners in his native land. Ronny Maman, who recently returned to Israel after 18 prosperous years in San Diego, announced this week that he will give $60,000 to anyone who comes up with a way to make the Jewish state more considerate. "We should all be helping each other," Maman, 55, told Yediot Achronot, deploring what he described as the spread of chutzpah in Israel in recent years. Maman invited contestants to send their proposals to his Web site, www.derech-eretz.org. The winner will be selected next year, and Maman said he may also publish a book with the best 100 ideas. I'll get right to work on this challenge, as who can't use an extra $60K? Granted, Israeli child care and school tuition rates haven't spiked to US levels, but I assume it's not too long till US Jews start doing this to their kids, and sending them off to Israel. The following is a paid advertisement. Written by JoeSettler. OK, I checked this out, and I have to admit this is so cool. Rabbi Brovender and the crew at Atid have set up a complete, live and real Yeshiva on the Internet. I’m not talking about articles and posts. I’m talking about interactive live video feeds of shiurim, along with online resources – all in realtime. Meaning, you sit in Shiur at home along with the rest of the “class” and you can interact with each other and of course the Rabbi giving the Shiur (including Rabbi Brovender). And they have shiurim on different levels, for beginners and advanced learners. 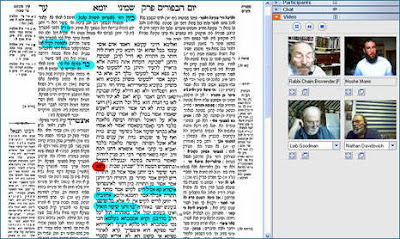 You can apparently have a video Chavrusa, and they have Rabbis on-call 24/6 to answer questions on what you are learning. Do they serve a hot lunch, or do you need to order in? Though it makes "great" blog material, I'm always hesitant to report on our personal stories here in Israel that may be challenging from a personal security perspective. I want people to see Hevron, see the Shomron, and tour Israel...without fear. I don't want the Holy Hyrax telling me he'd never visit somewhere in Israel after reading something scary on my blog. Baruch Hashem, Thank G-d no one was hurt in the shooting attack in Hevron, when we happened to be there. This wasn't even the first time we were "shot at" as a family, and a freakishly similar incident took place when we visited Hevron 6 years ago, also on Chol HaMoed Sukkot. (We were also ok then, and while a woman was seriously hurt, she made a full recovery). It's important keeping other statistics in mind; while many say that Hevron is a "trouble spot", not one Jew was injured in Hevron this past week, or even the week before, or even the week before that. Yet on the same day the "incident" took place in Hevron when we were visiting, something even worse happened. Four people were killed and three wounded in a car accident on the Arava Highway yesterday. Three of the dead were members of one family - Chaim (Charles) Bernstein, 54, his wife Roberta, 49, and their daughter, Batsheva, 18, all of Jerusalem. The Bernsteins' son Moshe, 11, was moderately to seriously injured. The fourth fatality was Sharon Sabag, 49, of Beit Lehem Haglilit in the north. Her son Netanel, 12, was moderately to seriously injured, and her husband Yossi, 45, was lightly injured. All four of those killed were American immigrants. The accident occurred at about 9 A.M. when the Bernsteins' car swerved out of its lane for reasons unknown, and crashed head-on into the Sabags' car near Kibbutz Ketura, 50 kilometers north of Eilat. Both cars went spinning, and one hit a road sign and overturned onto the road's shoulder. While all of Israel heard the tragic news of this (and many other car accidents over chol hamoed), I only saw this story on Friday. Imagine my shock when I saw the photo of Chuck Bernstein, only to realize that I knew him and had done professional consulting for him a decade ago. Far, far ahead of terror attacks, a much deadlier and killer in Israel is traffic accidents. This site posts picture on a daily basis of traffic accidents around the country (I've even contributed pictures to them personally, as a Hatzala/MDA EMT)...and yet, people continue to drive, continue to take their children everywhere by car, and the accidents still pile up. Bottom Line: Would you rather we post the full story of what goes on here, or limit it to purely uneventful stories? "We're not shooting in the dark, and we know what the source of the disruption is. It is outside Israel's territorial waters. We know the identity of the party in question but I can't disclose it. All the rest is speculation: Russians, Dutch, Germans," Eilon said in response to media reports that a Russian ship was the cause of the disruptions, as part of an electronic war that Russia has been waging against Israel since the Israel Air Force's strike in northern Syria." Bottom Line: The disturbances in Israel's YES Satellite service appear to be Russian "influenced" -- in retaliation for Israel's alleged bombing of a Syrian military installation, and Israel's ability to successfully use electronic countermeasures against Russian anti-aircraft technology. "If the Jordanians would not treat the holy sites entrusted to them properly (albeit not as improperly as pre-1967 because we do have a peace deal with them and presumably there would be some Israeli recourse)- yet a deal that included their sovereignty would bring about true peace between Israel and the Palestinians, would you not approve of such a deal? Is that too big a price to pay if there can truly be peace?" My answer: Honestly? No. Not even for a promise of real peace. Why? We didn't fight for the existence of Israel to be dhimmi under the protectorate of the Arab world. If I would be willing to disown Jerusalem, I might as well accept the Uganda plan...or live in New Zealand. Unfortunately, the world believes that the only "just" way for Israel to arrive at a peaceful solution is through territorial abandonment. Heading off Olmert at the pass, MK Benny Elon is proposing an alternative peace plan; not based on relinquishing what little of a homeland we have left, not based on negotiating with terrorists, and not based an providing endless cash handouts to corrupt mafiosos who terrorize their own local population. You may find it unrealistic, but since when has "practical" ever been a requirement for a peace deal with the Arabs? The right of Israel to "Hot Pursuit after Palestinian Terrorists" ensured in the Oslo Accords was never practical; even Yossi Beilin said that. Access to Kever Rachel, Kever Yosef, and the Shalom Al Yisrael shul in Yericho are not "practical", yet that never stopped Israel's leaders from including "impractical" details like those. "The political discourse in Israel consists of old-fashioned concepts and mistakes," Elon said. "The assumptions are that in order to achieve peace, we must relinquish territory; that the Palestinians are a partner; and that Israel is prohibited from dealing with the refugee problem. These conceptions have failed and brought us to the place we are today: No peace, terror, Hamas controls Gaza and is threatening to seize control of Judea and Samaria. We must reexamine all the underlying assumptions that brought us to this current situation, and think differently, 'outside the box.'" According to the initiative, the West Bank would remain under Israeli sovereignty, but Palestinians would become Jordanian citizens. The plan is based on three main principles: the rehabilitation of refugees and the dismantling of the refugee camps; strategic cooperation with Jordan; and Israeli sovereignty over the West Bank. Including important issues like humanitarian relief for Palestinians and the dismantling of virulently the anti-Israel, anti-refugee solution organization like the United Nations Relief and Works Agency are important solutions that address the real issues. Elon said Israel must strive to find a humanitarian solution to the Palestinian refugee problem instead of a political one. He proposed dismantling the United Nations Relief and Works Agency, an organization that he said "perpetuated the refugee problem" and collaborated with the Palestinians to use the refugee issue as a political tool against Israel. Refugees would then be offered permanent housing, citizenship and generous rehabilitation grants. He cited surveys carried out among the Palestinians that testified that 30 to 50 percent of them were interested in a humanitarian solution in other countries. He said that Jordan and other moderate Arab countries had an interest in cooperating with Israel in implementing such a plan, because of the nuclearization of Iran, the Shi'ite takeover in Iraq and the Hamas coup in Gaza. Of course Olmert won't be happy with such a proposal -- you don't win Nobel Peace Prizes without giving away Israel's homeland. Jerusalem: Who is the Real Mother?